Sometimes, even the simplest dishes are the best. 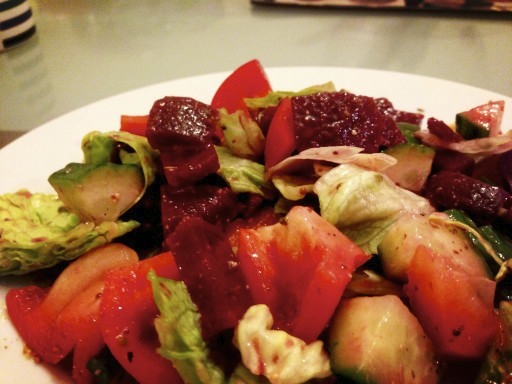 And a simple dish requires a simple post, so here we are: if you're after a good, easy and healthy side, give A's Beetroot and Cucumber Salad a try. 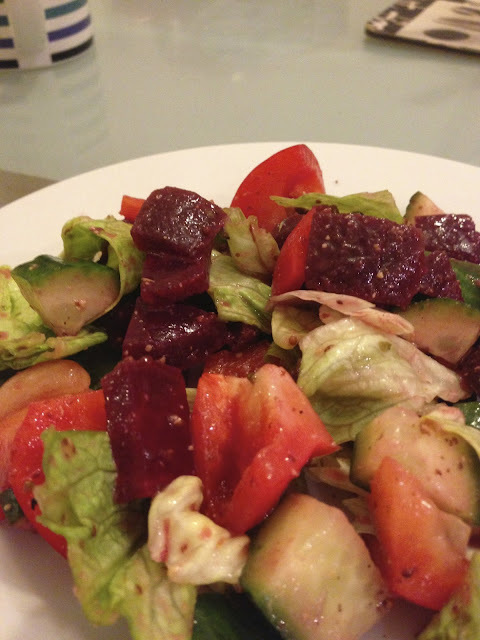 Ingredients are, as you may imagine, simple: prepare beetroot, tomatoes, red bell peppers, cucumber, lettuce, mustard and a dash of za'atar and throw it all together. Serve with a mustard vinaigrette dressing. Simple. Unpretentious. Delicious, and an almost daily side dish in A's house.